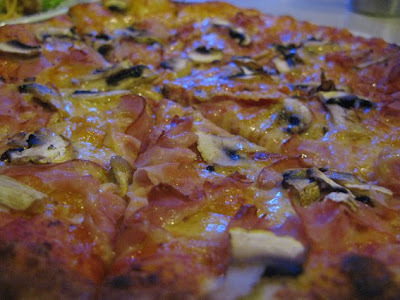 Went out with Jess and Dee for dinner just now after my Japanese class. 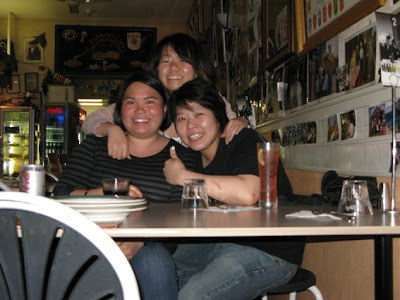 It's been a long time since me and Jess hang out with Dee! Probably a year or so? 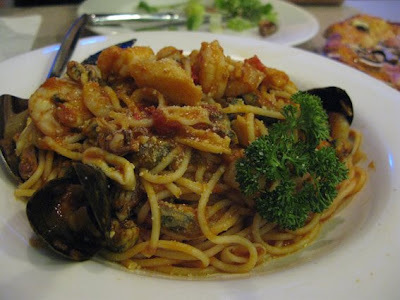 We went to IL PADRINO in Northbridge. 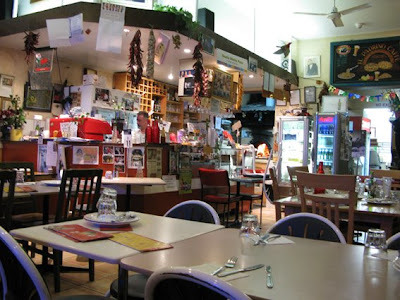 It's a nice and cosy Italian restaurant and pure Italian deco. Very interesting. Usually it is quite busy, but we went there today at around 8.30pm, so it was alright. 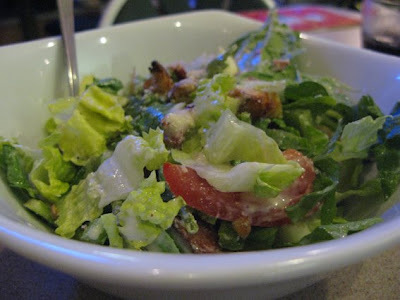 We ordered caesar salad because Jess just wanted to have light meal as she had eaten her dinner at home. The food was really good. The flavouring for every dishes was just nice and you won't feel really cheesy and oily as Italian food usually is really cheesy. I recommend to book before you get there because usually it is really busy, and especially on Tuesday nights(Half price on pizza or pasta, not too sure).